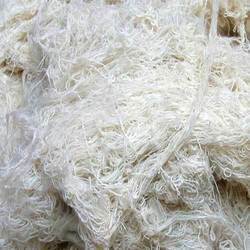 We are among the renowned manufacturers, exporters, traders and suppliers of a wide range of Waste Yarn that are woven with utmost precision. Our products are widely appreciated among the clients for their colorfastness and durability. These are available in different vibrant colors and can be customized as per the clients’ requirement and preference. Additionally, clients can avail the entire range from us at nominal rates.